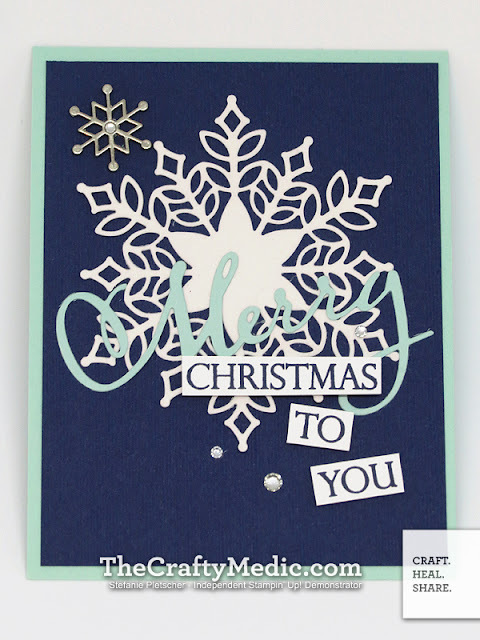 Have you seen the Snowflake Showcase? These stunning products are available for the month of November only, so you'll have to act fast! I was lucky enough to preorder them, as a demonstrator we always get to see and order products early. I made a bunch of samples with them that I'll be sharing with you throughout the month. Here's the first card I made, it's fairly simple but has major impact! I will also be featuring this suite of products on my Facebook live on Saturday at 1pm (PST), so tune in to see them in action! If you'd like to order any of these products, you can go straight to my online store by clicking any of the products below, and don't forget to use the host code on the right. Remember you can only get these products in November!